really… You can’t judge a book by its cover! 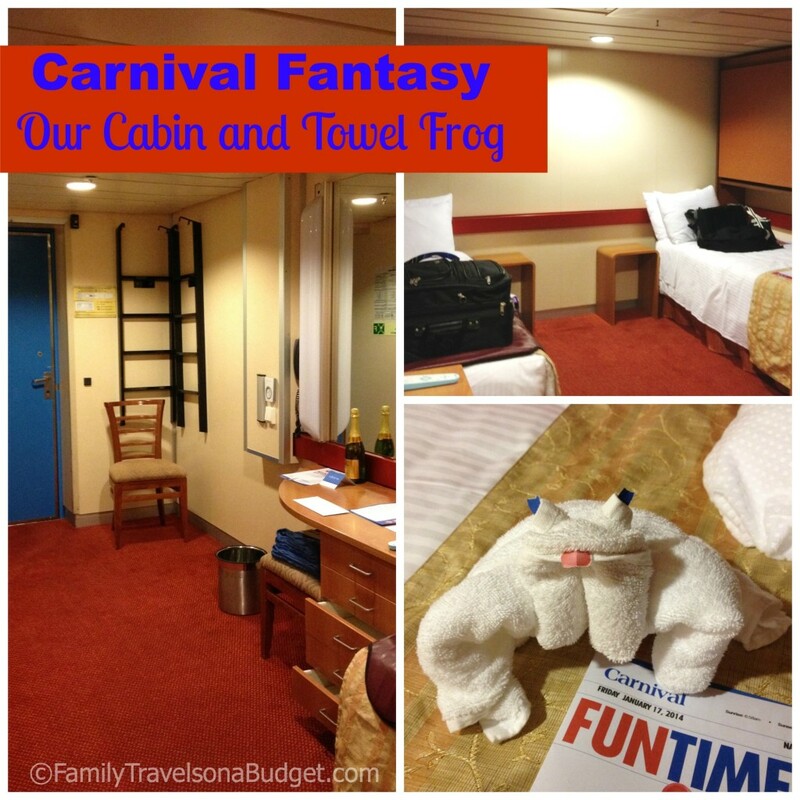 I confess I am guilty of judging Carnival Cruise Lines…. And I apologize! Boy was I wrong! Very, very wrong! Want to learn more about cruising? The Carnival Fantasy is the oldest ship in the Carnival fleet, first sailing in 1990. In 2008, the ship entered dry dock to be upgraded with Evolutions of Fun amenities that include upgraded spa services for adults, expanded family fun that includes water slides and miniature golf, expanded recreation and activity areas, improved menus and luxurious bedding! Seriously, the beds on the Carnival Fantasy are amazingly comfortable. All cabins include luxurious amenities as well, including feather duvets, spa bath robes and high quality beach towels. While I read about these improvements (and my mom had told me the beds are REALLY comfortable), I still doubted. This is an important but! The ship is immaculate! On other cruises, I’ve seen dishes stacked in the elevators (really!) and garbage in strange places, but not on the Fantasy. The ship’s staff hustled to clear plates and cups all day every day. Garbage didn’t have a chance to collect anywhere. Okay, Fantasy. You surprised me! The Disney fleet doesn’t have casinos, which in my opinion is fabulous. I am not — and never will be — a gambler. I’m about as conservative as they come. On my first cruise (1993), my husband and I allocated a whopping $5 each to the slot machines. We called it “entertainment money.” After I lost my first three quarters, I flipped out. No way! So…. One thing I absolutely LOVE about the Carnival Fantasy is that guests do not have to pass through the casino to get from one end of the deck to the other. The casino was packed — except in port when it was closed — but I didn’t have to go there. YAY! The only drawback of the casino and bar area was the cigarette smoke. 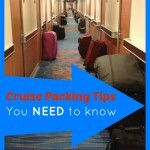 While smoking was limited to designated areas, it did build up through the cruise. Eventually, I could smell it in public areas nearby and down the stairs in that section of the ship. Surprisingly, the outlet issue was a non-issue. We charged our phones and iPads at different times and took turns using the area to get ready for the day. She uses an electric scooter — which we charged overnight. No problems. The cabins are quite drab. Ours, M298 on the main level, was added to the ship to meet ADA requirements. It’s carved out of a crew area and the cabin is NOISY! All day, we heard the laundry. Then, during the night, the crew used the door next to our cabin and let it slam. Noisy! The cabin also has bunks which we didn’t need. I expected to hit my head during the night — which kept me from sleeping well the first couple nights. What the cabins lack in decor is made up for in service. “Su” was the best cabin steward I’ve ever had. I didn’t realize the duvets were real down (I’m allergic) until the third day on ship. I thought I was getting a cold. HA! Anyway, I asked Su if he could swap out my duvet. Not only did he completely change my bedding, he changed my friend’s bedding as well and left us a couple extra blankets in case we got cold at night. By the way, I never saw a single person stagger through the halls, either. 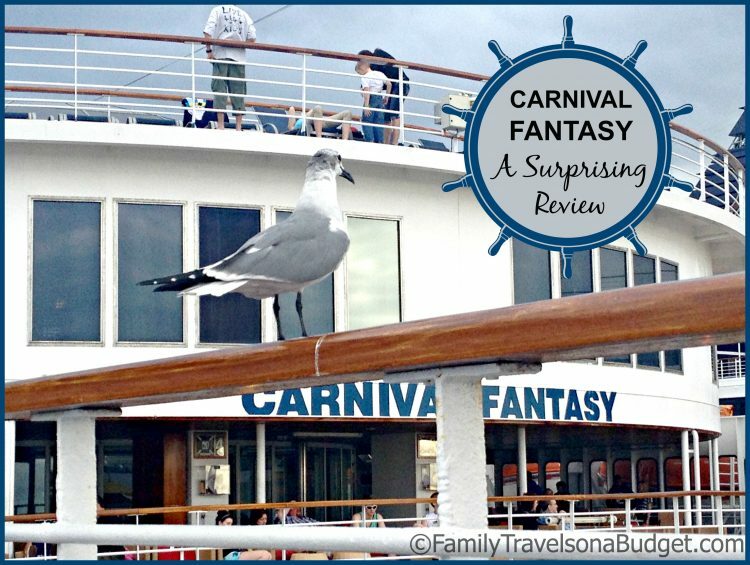 🙂 As family friendliness goes, the Carnival Fantasy rocks. Of course, spring break and early June when the college kids flood cruise ships might lead to a slightly different impression. Chime in! Have you ever judged a destination or attraction before going? Were you pleasantly surprised, like me…. Or was your opinion spot on? Do tell! I paid for this vacation. This is NOT a sponsored post. I will cruise Carnival again. Gladly! 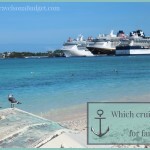 What’s the best cruise line for families? We’re taking the kids on a cruise for Christmas and plan on going out of Charleston. This post is a big help!! Enjoy it! Remember to pack jackets. December at sea can be cold. I’m glad I saw this, we were just talking about looking into cruises. I agree with your assessment of the Fantasy. It is an easy 4 hour drive to Charleston from Raleigh and then you are in total relaxation mode headed to the Bahamas. Carnival does offer a lot of bang for your buck and the beds are super comfortable! Thanks for your honest opinion! Why thank you! Super comfy beds. Some day I would like to take my family on a cruise. I was on one half my lifetime ago. Geez, I’m getting old! My kids love cruising, particularly my boys who love the never-ending food supply! My husband and I enjoy it, because it is generally all-inclusive and the kids have a great balance of freedom and boundaries. We really can relax on a cruise unlike we do anywhere else. I hope your family can go on one sometime soon. you had me at doesn’t have casinos!!! 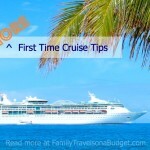 It’s been a while for our whole family to go on a vacation–I’d been thinking of cruising but I’ve had mixed feelings about them –I love all the useful information! Happy to help. The Carnival Cruise line does have casinos — but on the Fantasy, you do not need to go through it for any reason unless you choose to, which I appreciate. 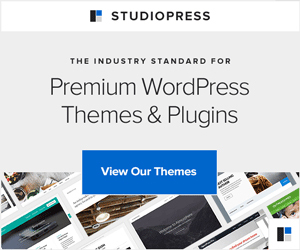 Great post – can’t wait to go on a cruise one day!